The Flight Centre Travel Group South Africa has appointed two new National Sales Leaders as part of a drive to re-engineer the sales structure of the group’s corporate divisions, now under the leadership of Lloyd Barkhuizen, General Manager Corporate Sales. Mark Parry takes up the role of National Sales Leader for Flight Centre Business Travel (FCBT), while Samantha Wing becomes National Sales Leader Corporate Traveller. As the first Business Development Manager for FCBT, Mark helped launch and establish the brand in the South African travel market in 2012. Samantha, who colleagues call Sam, will take up the reins as National Sales Leader for Corporate Traveller with immediate effect. Sam has worked for FCTG for the past eight years and brings with her in-depth knowledge and understanding of the Corporate Traveller business. “Sam will work closely with myself to lead the Corporate Traveller Sales Team to success. 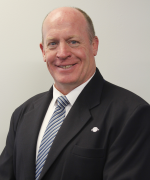 We will establish our sales department as the powerhouse of sales for FCTG South Africa,” says Lloyd.